This kit comes complete with everything that you need to make one 'Hop Away Home' Pencil Case....... fabric, lining, fusible Parlan, zip and pattern. 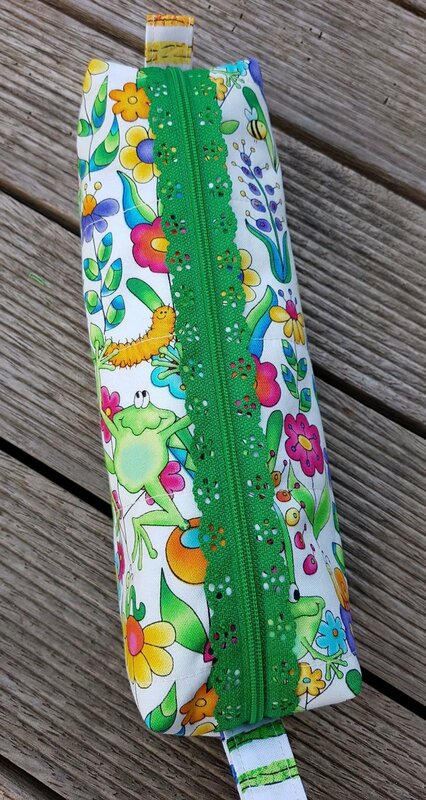 A simple pencil case that would make a great gift. NOTE: Zip colours may vary from kit to kit.